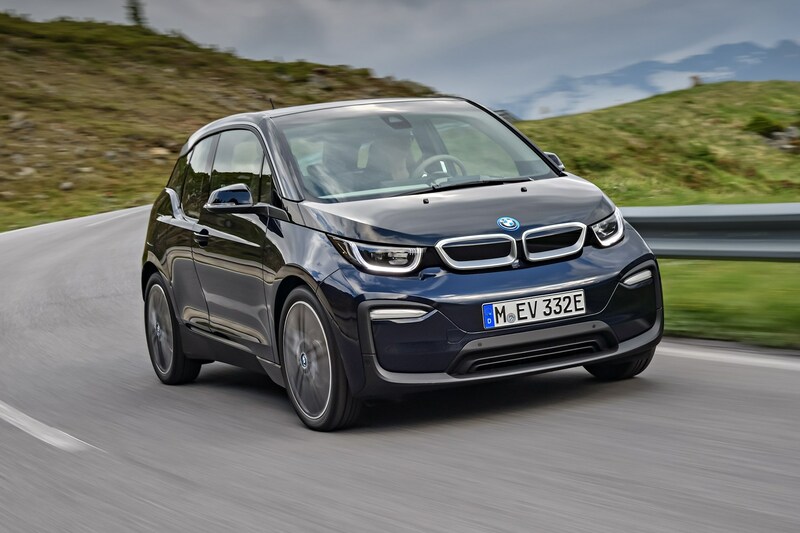 BMW has confirmed another set of updates to its i3 electric car. 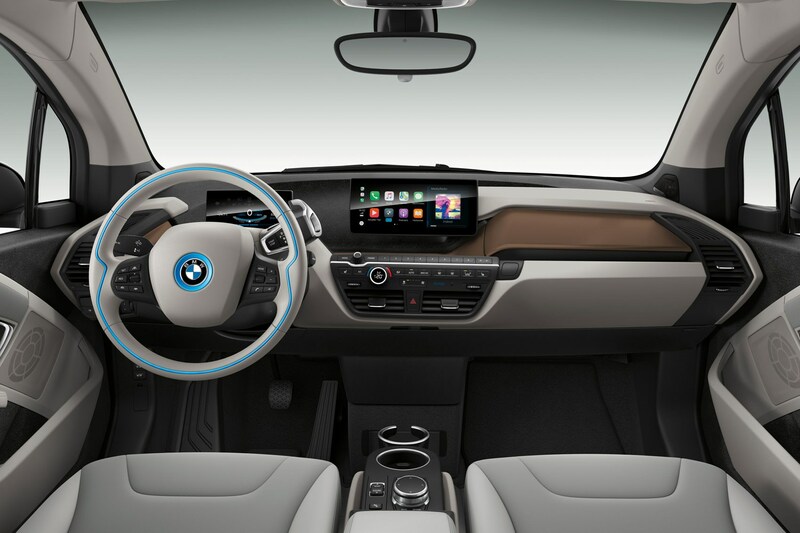 Both it and the i3 S will arrive with 120Ah capacity batteries and up to 42.2kWh of shove - even more than the likes of a Nissan Leaf. 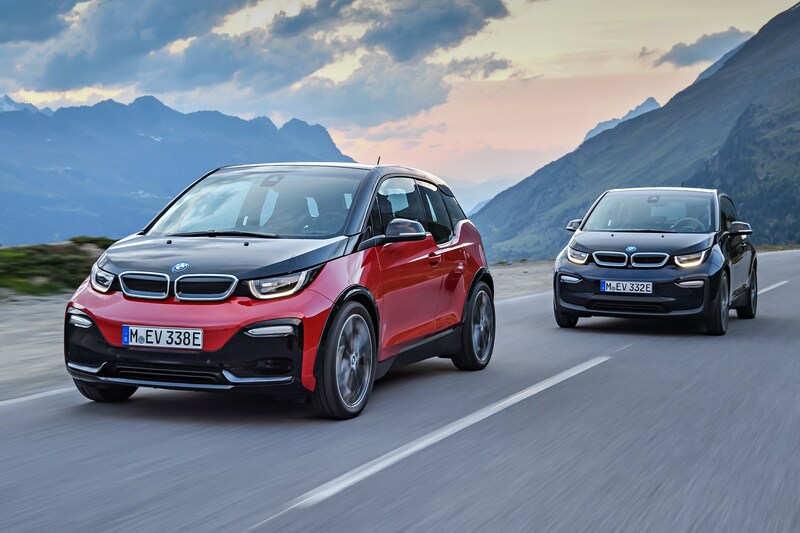 BMW says that both versions will be able to cover up to 260km (161 miles) but that's according to BMW's own range tests - WLTP tests claim around 270km (168 miles). Some new tech and sporty parts are joining the options list, too. 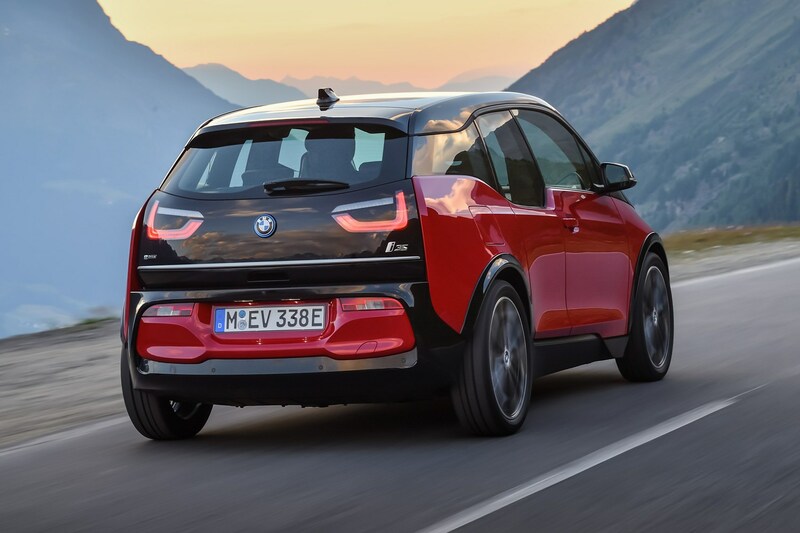 There's a new sports pack available for the i3 to make it look more like the i3 S and provides lowered suspension, and kit like adaptive LED headlights, wireless phone charging and a WiFi hotspot are available. 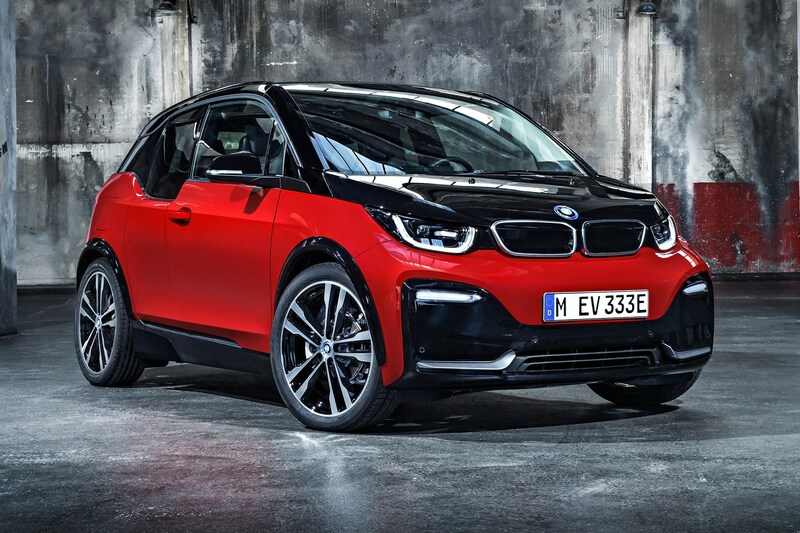 It’s official: BMW has revealed a hotter version of its i3 electric city car, after we scooped it back in July 2017. 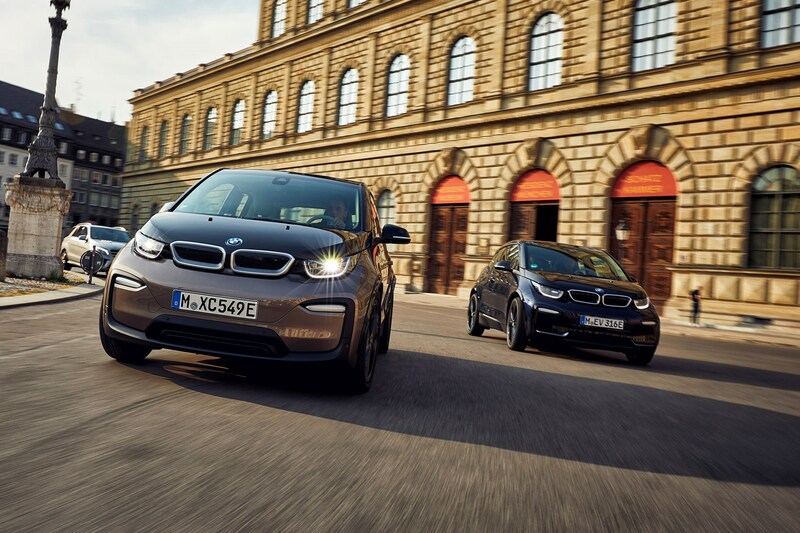 The new BMW i3 S is now the top-of-the-line model, and joins a refreshed-for-2018 i3 EV range. 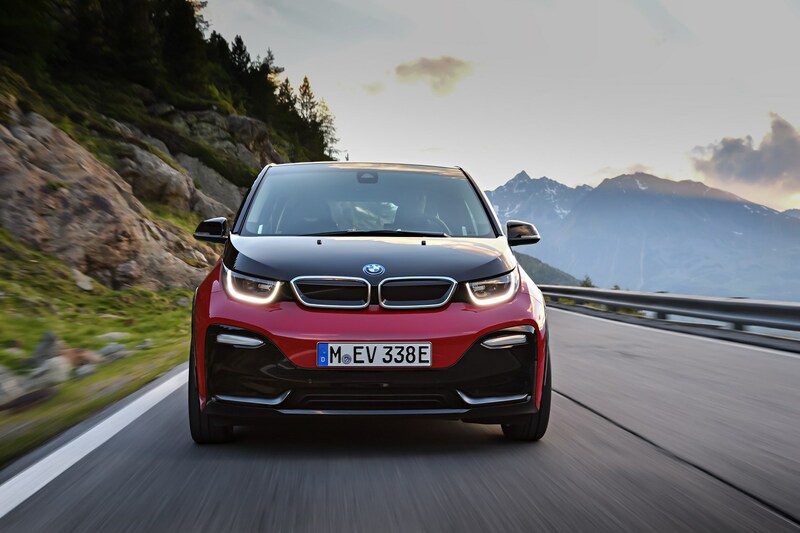 BMW’s reinvigorated i3 line-up is on sale now, after its public unveiling at the 2017 Frankfurt motor show. Well, think more Rogan Josh than Vindaloo. 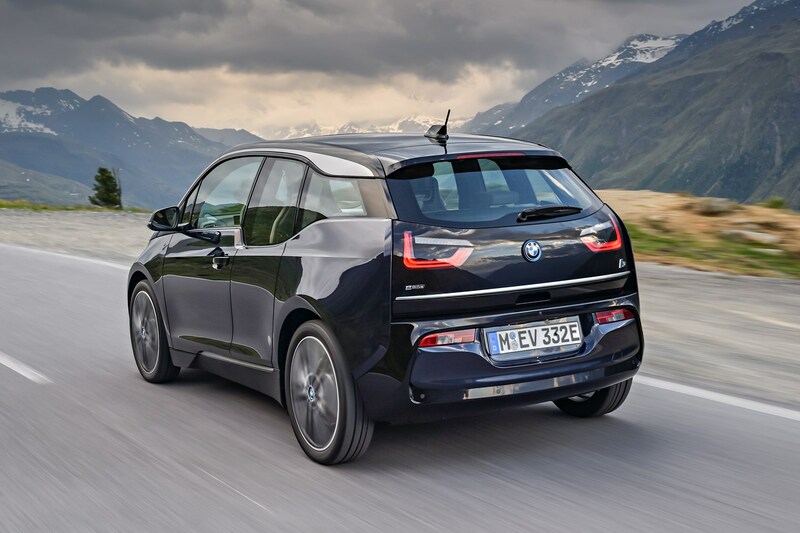 The i3 S is just a smidge faster than a regular i3, with a 0-62mph launch time rated at a whizzy 6.9 seconds from its 135kW/199lb ft electric motor. 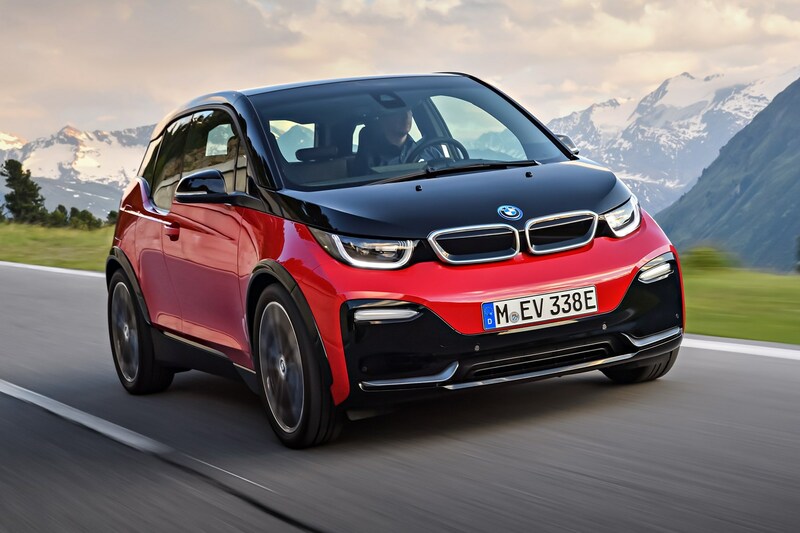 That’s just 0.4 seconds quicker than a regular i3 EV. 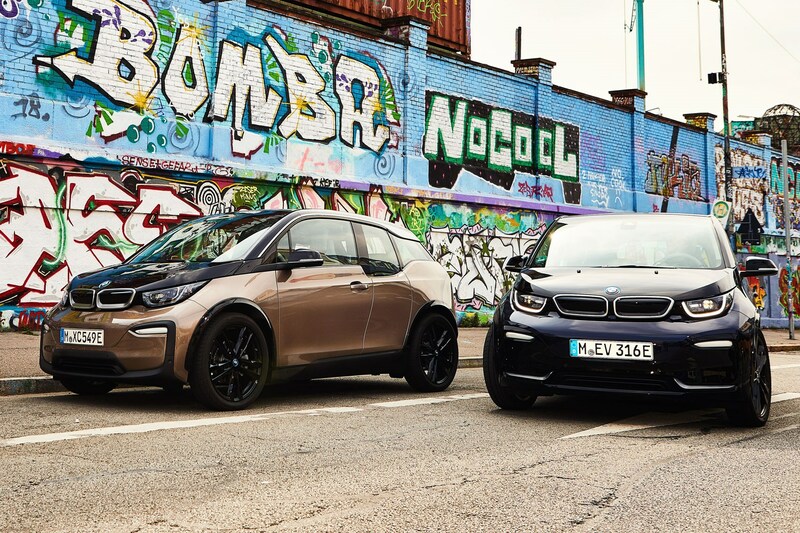 It’s the same story for the range extender version, too; the i3 S REx manages 7.7 seconds, compared to the boggo i3 REx’s 8.1. 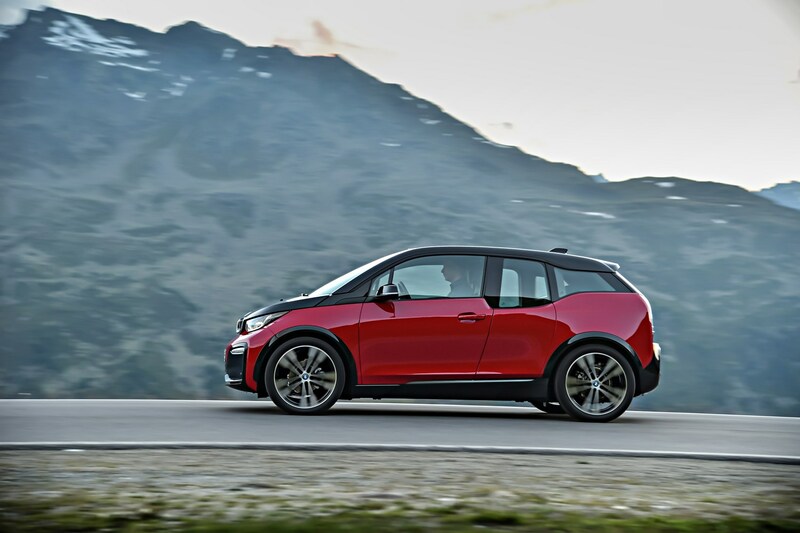 BMW’s i3 S is all out of puff at 99mph – 6mph more than a standard one. So, those numbers that aren’t exactly going to set your hair alight, and still fall behind the league of hot hatches dominating the small performance car scene, but it’s an improvement. Hmm, okay then. 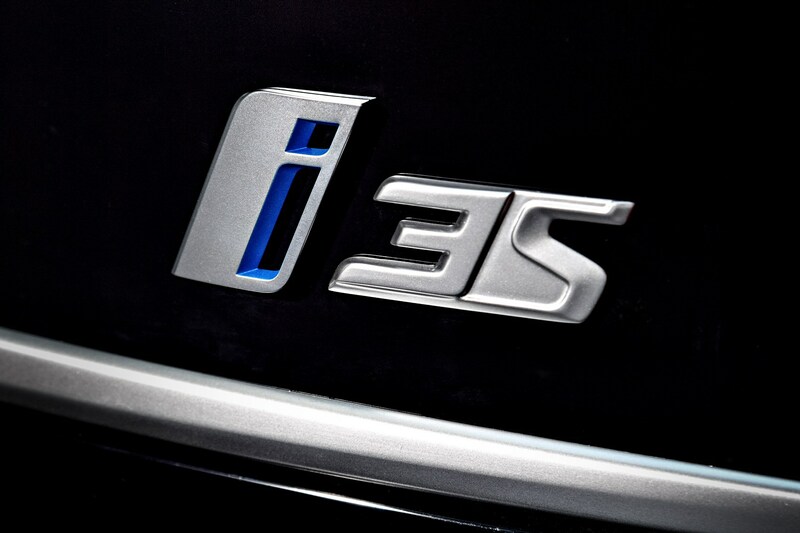 What else is new about the i3 S? You’re treated to a much sportier look. 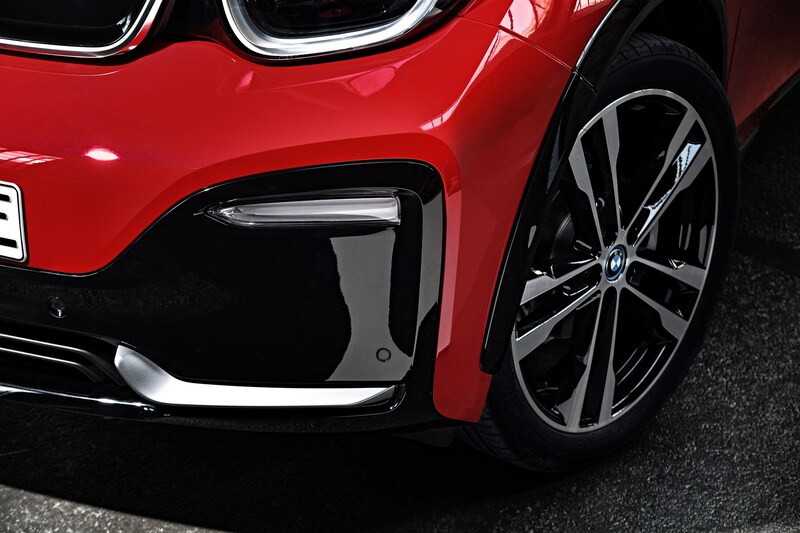 The front and rear bumpers are chunkier, there are splashes of black everywhere and the S versions can be had with larger diameter and wider 20-inch alloy wheels. Sports suspension will mean a greater chance of your spine dislodging over a pothole but the firmer setup is complimented by a 10mm drop in ride height and a 40mm widening of the track front and rear for better handling. 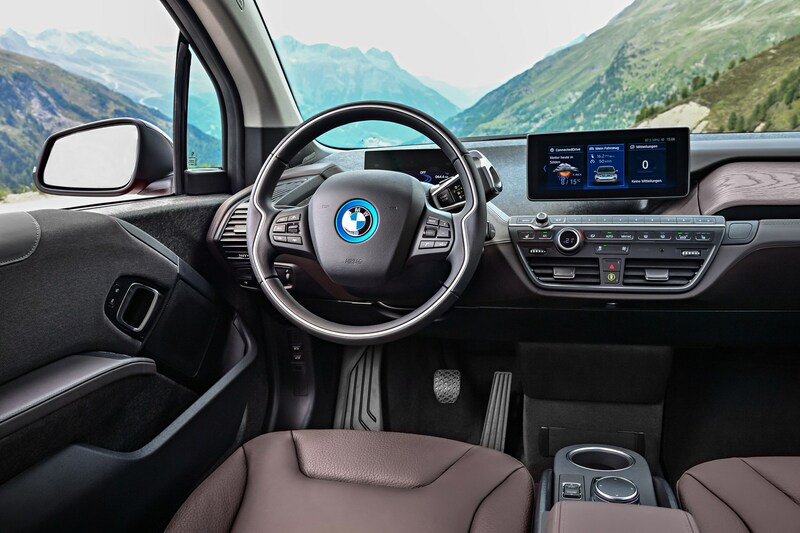 Inside, there is little to differentiate an S from a regular version save for some model lettering on the floor mats and an extra Sport mode within the car’s drive mode selector. 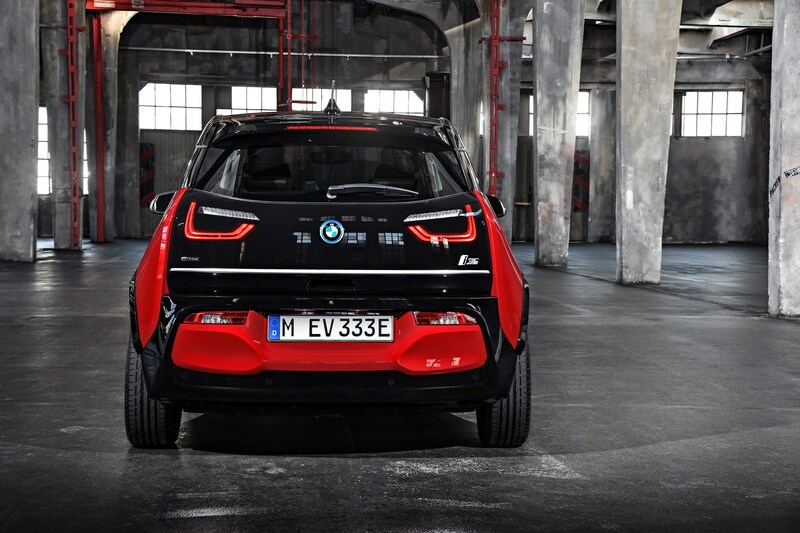 What about the regular i3? The overall design has been subject to a light fettling to help it stay fresh and the interior can be had in one of three new themes: Loft, Lodge and Suite along with the standard Atelier version. 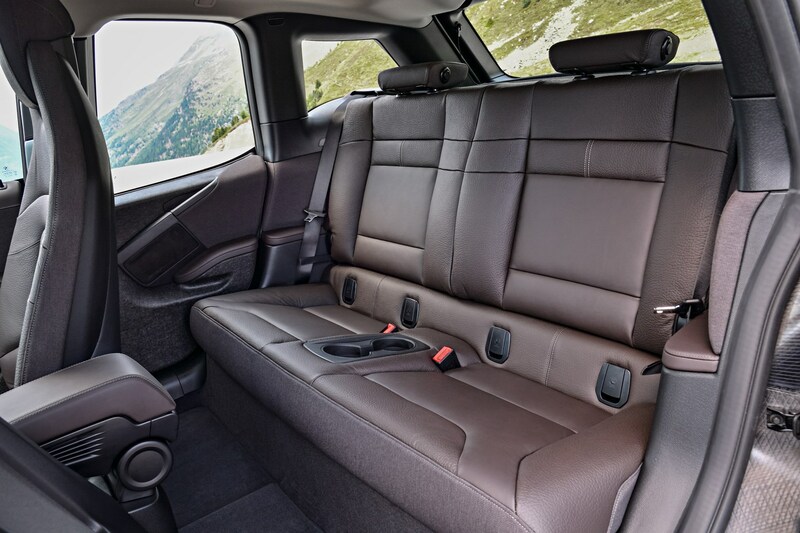 Lodge, for example, is like a log cabin, with dark brown leather and complimenting dashboard materials. Gladly. 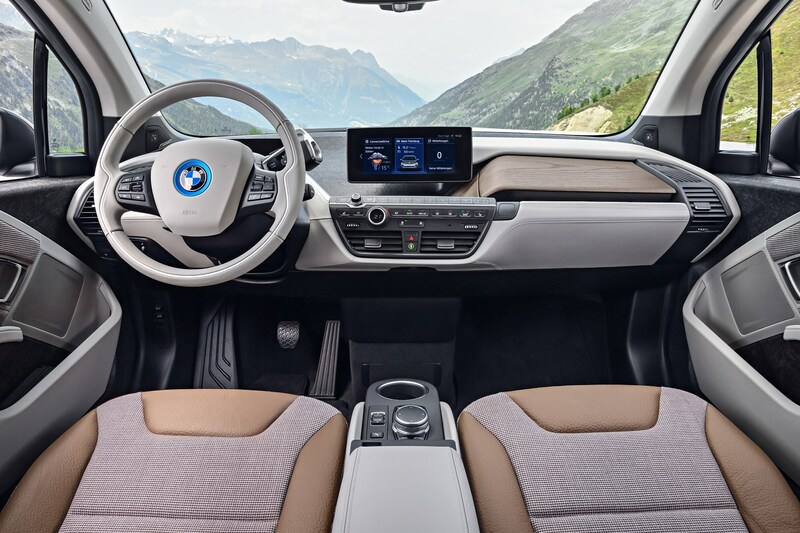 Your new 2018 i3 EV is capable of up to 124 miles of what BMW calls ‘regular driving’, while the REx can provide up to 205 miles. The warmer i3 S is no different. From November 2017, after the dinky new electric car is revealed to the public at the 2017 Frankfurt motor show.